It’s the summer of 2018 and it’s a hot one. Having fun in the sun is what we dream about all winter long and while we do benefit from some sun exposure (boosting levels of vitamin D and serotonin) we must also balance sun exposure with sun protection. In this article I will outline some general guidelines with reference to safe sun exposure, getting enough vitamin D and how consuming certain foods may help further protect us during recommended exposure times. According to recent research we now know that vitamin D is not only important for strong healthy bones but also plays a role in preventing some chronic diseases like Multiple Sclerosis and Cancer. So we need to know some general guidelines for getting the right amount of sun exposure while helping protect ourselves from damaging UV radiation. In 2001 the Australian Radiation Protection and Nuclear Safety Agency set out to determine daily UV radiation levels in major cities across Australia. How much sun was needed to produce adequate levels of vitamin D and how much exposure could produce damage to the skin was investigated. The general guidelines to come out of the report were as follows: In the peak of the summer, July and August in North America, “2 to 14 minutes of sun three to four times per week at midday will give fair-skinned people with 15 per cent of the body exposed the recommended amount of Vitamin D. However, redness (skin damage) can occur in only eight minutes in these conditions. For the months just before and after the peak summer months (June and September) the study revealed that the time of sun exposure needed for adequate vitamin D levels increases to 10 to 15 minutes 3-4 times per week. In the fall, winter and early spring months we need short periods of exposure during peak times of the day 10am-3pm in order to make enough vitamin D.
The question then becomes; in those times of recommended sun exposure how do we further protect ourselves from the damage of UV radiation? Part of the answer may be in the food we eat and beverages we drink. UV radiation helps us to make important compounds such as vitamin D but it can also cause damage to our cells. Cellular damage occurs via the production of inflammation and damaging compounds called free radicals. Some important compounds in our diet that combat inflammation and free radicals are: Omega-3 fatty acids and Antioxidants. Antioxidants are compounds found in fruits and vegetables that serve to protect the plant against the harmful effects of its environment, including UV radiation. Many of these antioxidants incur the vibrant colors we associate with fruits and vegetables onto them. Lycopene is a powerful antioxidant found in red colored fruits and vegetables such as: Tomatoes, Watermelon, Guava, Grapefruit, Papaya and Red Peppers including Chili Pepper. 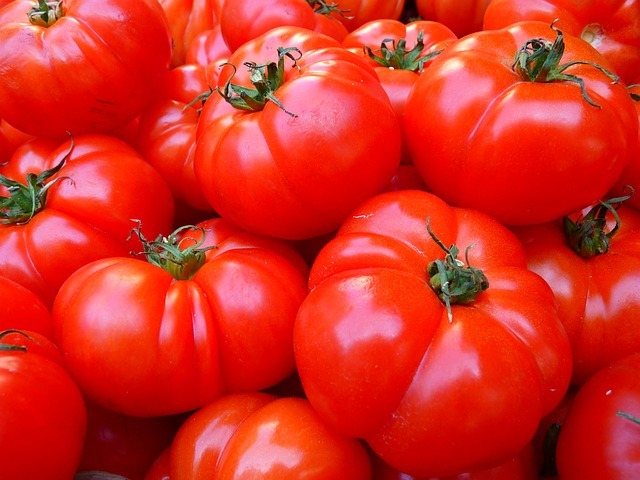 Lycopene is most easily absorbed when it has been cooked, making tomato paste and cooked tomatoes an excellent source of bio-available lycopene. Not only does this antioxidant protect the fruit/vegetable from UV damage, when we consume lycopene, it protects our body as well. Anthocyanidins are a group of antioxidants that incur free radical protection and have a dark red or purplish color. 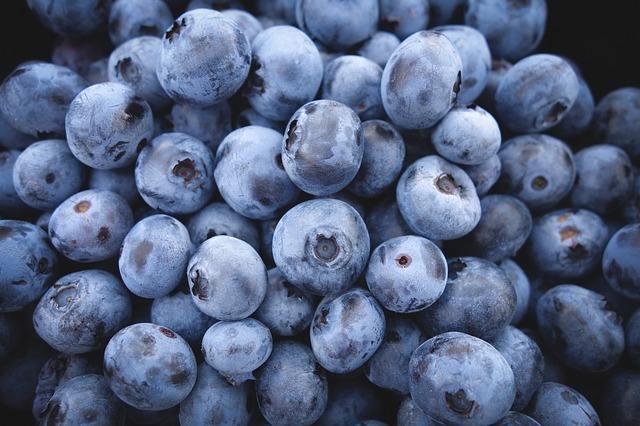 Rich sources of anthocyanidins include: Blueberries, Acai, Pomegranate, Blackberries and Cherries. The flavonoid antioxidants in green tea include the very powerful polyphenol EGCG. EGCG has not only been shown to inhibit tumor cells in some cancers but has also been shown to protect cells from the aging effects of UV radiation. 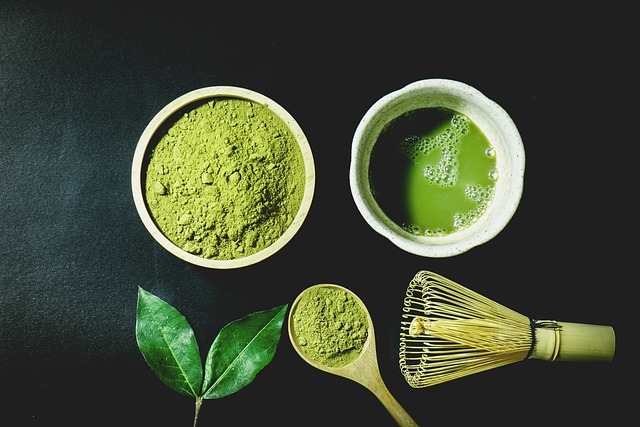 Particularly matcha green tea (pulverized powdered tea leaves) can be 137 percent higher in EGCG than regular water infused tea leaf. Dark chocolate is also very high in phenols and can incur a 25 percent increase in sun tolerance at 2 ounces of over 70% cacao per day. Another compound important for protecting our body against the potentially harmful effects of sun exposure are omega-3 fatty acids. These fatty acids help to drive an anti-inflammatory pathway in the body. Radiation and chronic disease induces inflammation which can lead to cellular damage and premature aging. 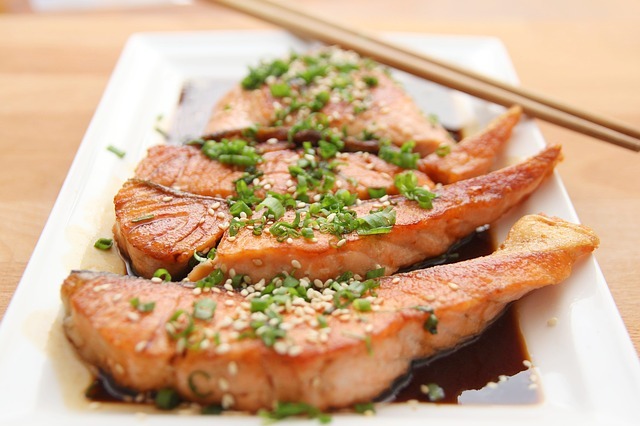 Fish is an excellent source of omega-3 fatty acids, particularly Salmon, Herring, Mackerel, Trout and Sardines. It is recommended to eat at least 2 servings of high omega-3 fish per week or to take a fish oil supplement daily. Another good source of omega-3 fatty acids are flaxseeds. Flaxseeds also contain compounds called lignans which may protect against the development of some cancers. It is recommended to have a half teaspoon of ground flaxseeds per day or a flaxseed oil supplement. Although these are all specific examples of foods rich in sun protecting compounds, a good general rule of thumb is too eat plenty of vibrantly colored fruits and vegetables which will undoubtedly be rich in antioxidants. It is also just as important to limit foods which can cause free radical damage and inflammation, these include: sugar and red meats. Equip your body with sun protecting foods and follow the guidelines as to when to allow for uninhibited sun exposure. By doing so you will make the D and be problem free.